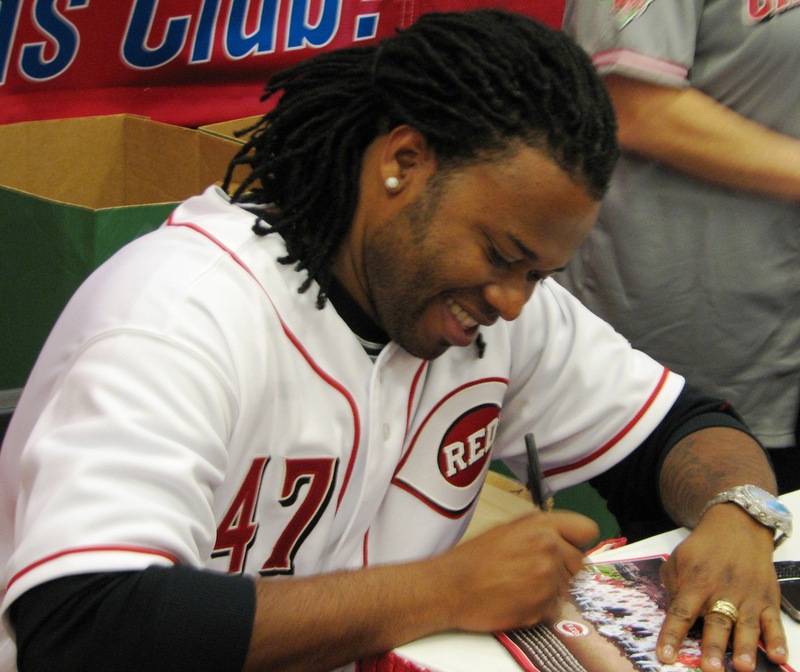 Johnny Cueto signing in the kids section of RedsFest. At least, I hope they can’t. Johnny Cueto left his start against the Pittsburgh Pirates early last night with pain in his right triceps. Cueto said he felt something “sharp” in his arm after throwing a change-up to Pedro Alvarez in the fifth. He was fine before that. He’s in Cincinnati getting it checked out today. Hopefully it’s something that won’t require more than a little time off. It sounds good that it’s not his shoulder or elbow. But he shouldn’t be rushed back onto the mound, especially this early in the season. A weakness in his tricep could lead to more pressure on other parts of his arm. No, it’s best to wait and hope that he’ll miss nothing more than a start or two.